CNN International has merged the Asia-Pacific-focused travel website CNNGo.com with a new global digital travel enterprise - CNN Travel. Details from CNN below. CNN Press Release: CNN International today announced the launch of a new digital channel, CNN Travel, expected to become the most dynamic, engaging and relevant online destination for the world's luxury, business and leisure travelers. Through a network of more than 800 travel contributors around the world, CNN Travel delivers up-to-the-minute travel news, destination insights, inspirational travel ideas, original observation and thoroughly-researched city and country insider guides with directions to the world's hottest restaurants, bars, hotels and activities. 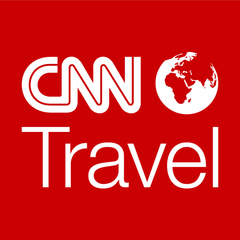 CNN Travel brings together the best of CNN's existing digital travel portfolio and CNNGo.com, the successful Asia Pacific-focused travel start-up launched in 2009. The Hong Kong-headquartered team which launched CNNGo.com and has managed the popular site ever since, will continue at the helm of the international CNN Travel platform, working with international travel contributors to provide users with the distinct voice, authority and local insights which have made CNNGo.com such a hit. "CNN Travel takes the best of CNNGo.com, shakes it up and expands its horizons to create an online travel destination unlike anything else out there. We are incredibly proud of the success CNNGo.com has had over the last three years and are thrilled to be taking it global with the creation of CNN Travel," said Andrew Demaria, editor in chief of CNN Travel. "CNN Travel's blend of reporting, global network, international partnerships, contemporary voice and social media reach will position the site as a compelling travel destination," said Peter Bale, Vice President and General Manager of CNN International Digital. "What Andrew calls ‘CNN in jeans' gives the site a fresh and vibrant tone." "CNN.com has launched a series of groundbreaking initiatives throughout 2012, including our partnership with Facebook around the U.S. Elections, CNN Trends, and CNN Soundwaves. CNN Travel is an outstanding addition to this roster and we are confident our international users will quickly embrace the site's unique tone and reportage," Bale added. CNN Travel features standalone destination guides on Latin America, North America, Europe, Asia Pacific, the Middle East and Africa, along with dedicated sections on Travel News, Aviation, Hotels, Food and Drink amongst others. It is great to know about the new travel site of CNN. I think it can surely provide a lot of guidance to the people who are not familiar with traveling but they wish to have a family or business trip.